Everybody is aware of the fact that there’s a myriad of different flooring types available to suit all kinds of living places. However, the wider the selection of flooring types, the harder it is to to choose the most suitable one. Determining the quality and suitability of flooring is a daunting task for an unexperienced eye. It’s important to learn the basic information as well as pros and cons of the most common flooring types if you want to purchase flooring on your own. The type of flooring in our homes illustrates our standard of living, style, and design. People who purchase cheap flooring in a random store without any knowledge about various types and quality of floors often end up with a shoddy floor that falls apart after few years. In the better scenario, they actually buy a decent quality floor, but for a significantly higher price. There’s no reason for overpaying on floors since there’s a huge selection of great flooring stores in Toronto where you can purchase quality flooring for reasonable prices. Here’s a short guide containing the most important information you should know before entering a flooring store. Natural and stylish hardwood floor is the most popular and common flooring type in Canada. It adds warmth and beauty to every home and does not pose any threat to people with allergies. There’s no doubt that a hardwood floor always creates an atmosphere of elegance, but a quality hardwood floor isn’t only about aesthetics; its lifespan can exceed 100 years. 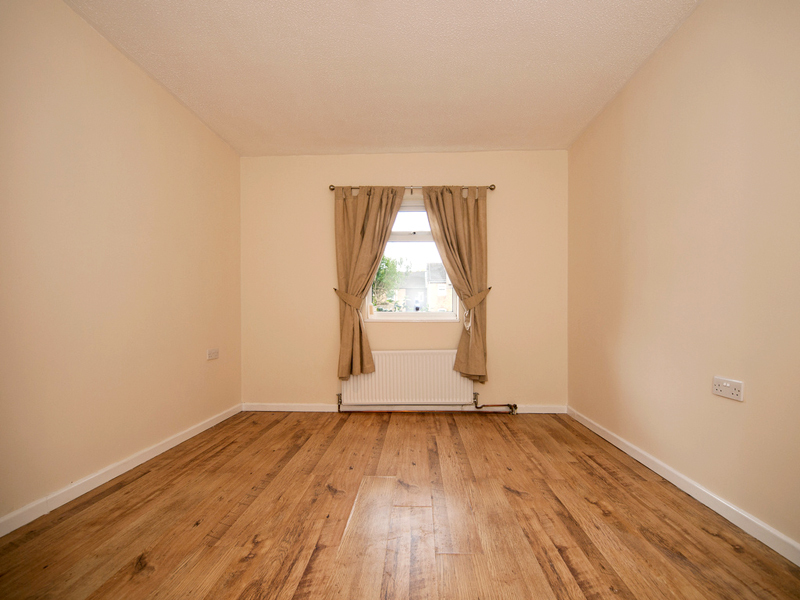 Apparently, that’s the main reason why homes with wood flooring are easier to sell. It’s been agreed by 99 per cent of Canadian real estate agents that hard wood flooring helps their clients to sell their homes, and 90 per cent said that homes with hardwood flooring are sold for more money. There have been many cases in which homeowners have doubled up their return on investment by installing hardwood floors. Many people claim that even though hardwood floors last for many years, their look deteriorates much sooner. However, new technologies make it very easy to maintains hardwood floors’ beauty for decades. Maintaining hardwood floors requires some time, but the style and beauty is worth it. There are two basic types of hardwood floors: engineered and solid. A properly maintained solid hardwood floor can last a lifetime. It’s the most common choice, which is best suited for higher-grade installations. It’s important to keep in mind that solid hardwood floors are sensitive to moisture and therefore it’s not recommended to install them below ground level or directly over a concrete slab. A solid hardwood floor is a one-piece board that is usually nailed to a sub-floor. However, there are a few manufacturers that produce solid hardwood floors that can be glued down directly. Solid hardwood floors can, due to their thickness, be sanded and refinished multiple times when needed. On the other hand, engineered hardwood floors consist of two or more layers that are cross-layered, glued, and pressed together. The top is a veneer and the bottom is a softer wood backing. The inner core layers are usually built up with either a hardwood or soft plywood material that contains the tongue and groove system. Engineered hardwood floors are more resistant to humidity than solid hardwood floors and can be directly glued down over concrete slabs. If the floor is going to receive a lot of rough traffic and there’s a pretty high probability that it’ll be scratched, you’ll need an engineered hardwood floor that has a thick wear layer that can be sanded and refinished when needed. Since engineered hardwood floors are made at all levels of quality, you have to be careful when purchasing one for your home. Nowadays, markets are being flooded with cheap engineered floorings that you will definitely come across at liquidators, home centres, and discounter warehouses. These floors are usually only 3/8 inches thick, with a paper-thin wear layer, and are mainly made overseas (China). Always look for floors with thick real wood wear layers that can be sanded and refinished. Back in the 1970s when the first laminate floors were introduced to the market, it was only a cheap, plastic imitation of real wood. Since then, significant changes have been made in the manufacturing process and laminate floors represent a beautiful, affordable, and durable competition to hardwood flooring. Laminate flooring imitates wood with a photographic appliqué layer under a fair protective layer. The bottom backing layer provides strong and consistent support for the rest of the slab. Right on the backing layer is a particle board or a high-density fibreboard core. This provides additional moisture protection. Next is the image of the actual pattern, and the top layer creates special protection against wear, staining, fading, and moisture. These four layers are pressed together under incredible pressure and heat. Generally, laminate floors cost 20 to 25 per cent less than hardwood floors. 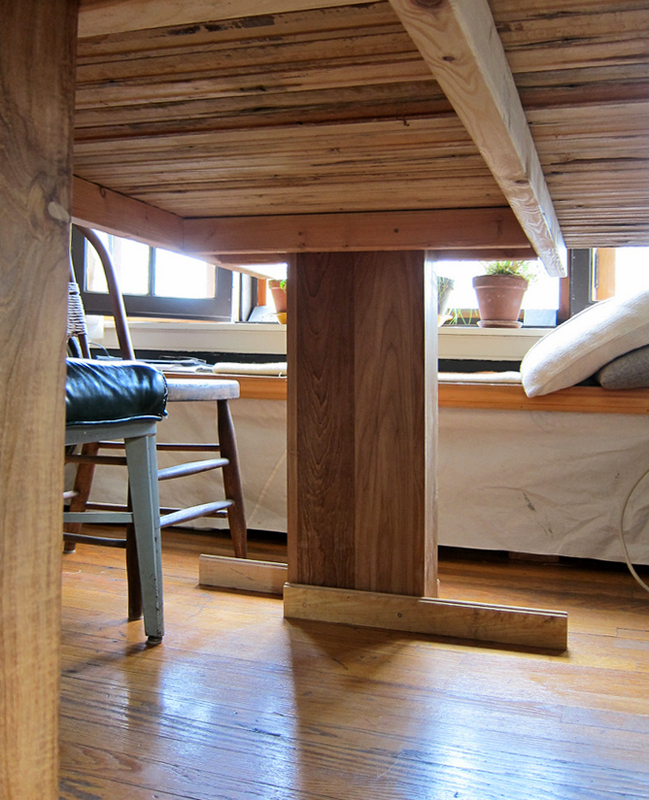 They can be installed in high traffic or humid areas that are not suitable for hardwood floors. Apart from being less expensive than other flooring types, highly durable, and resilient, laminate floors are very easy to install. Most modern laminate floors include a click-lock pattern that allows them to be installed quickly and walked upon right away. The maintenance of laminate floors is also less demanding than other types of flooring. Furthermore, laminate floors are made in a huge variety of styles and designs, so you don’t have to worry that you won’t find one fitting your interior design. The average life expectancy of laminate floors is between 15 and 30 years. They are very resistant to scratches, but water can get under the laminate lifting and wrinkling it. Another important disadvantage is that when the laminate floor gets damaged, it has to be replaced, as it’s neither sandable nor refinishable. 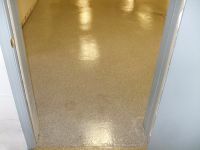 Vinyl flooring is one of the most affordable durable flooring types available. Mostly used in bathrooms, kitchens, or laundry rooms where there’s high risk of being damaged, vinyl tiles are durable, waterproof, and resistant to oils and fats. 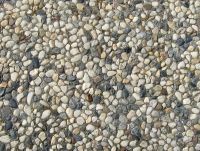 It’s an all-purpose home flooring type that can be used in medium-to-high-traffic areas throughout the home. 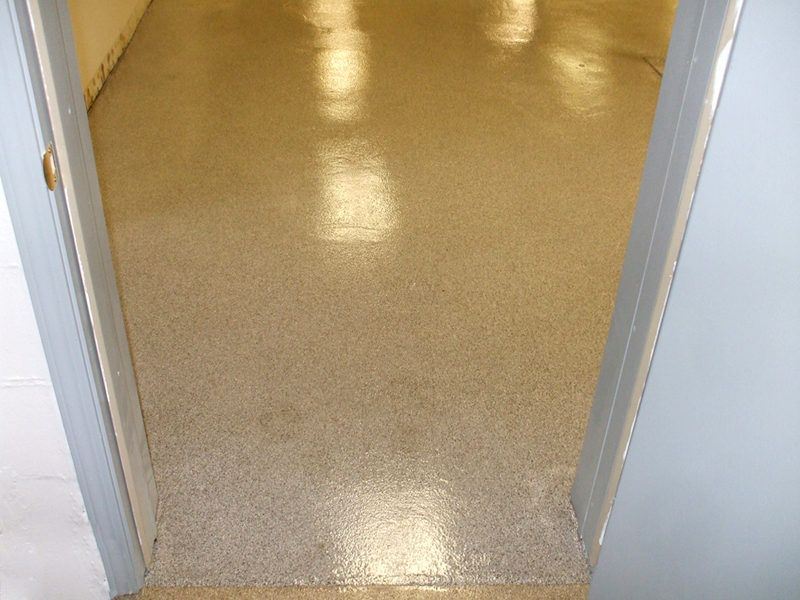 Maintenance is very easy; however, vinyl flooring has to be installed over a smooth underlayment. Even though vinyl tiles are very resilient, after some time, they’ll start to look shoddy. There are several agents that can cause serious or permanent damage to vinyl floors such as rubber, cleansers, spiked heals, or kerosene. Vinyl floors are very popular thanks to that cushy “give“ that feels so good underfoot. This practical flooring type can have the look and feel of brick, stone, marble, or wood. The only limit is your imagination. What’s even better, it can go anywhere. It’s warm, comfortable, and easy to clean. It’s available in a wide range of prices. The higher quality versions, with a thicker and tougher wear layer that is more resistant to mechanical damage, is of course more expensive. The average lifespan of vinyl floors is approximately ten years. As early as in ancient Greece and Rome, ceramic tiles were used to enhance interiors of the most important buildings. Clay minerals are ground, sorted, mixed with additives, and then compressed to create the tiles and afterwards heated at very high temperatures in a kiln. Ceramic tiles display charismatic textures, vibrant tones, and natural elegance. This easily maintained flooring solution is an affordable option that can create a uniquely charming visual appeal in every room of your home. The selection of patterns, designs, colours, and sizes create endless possibilities. 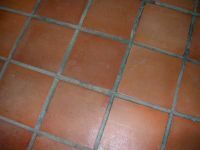 On the other hand, ceramic tiles can easily chip or crack if something is dropped on them. The grout can become heavily marred and stained if it’s not properly sealed. This beautiful piece of art can be very cold and when something is spilled on it, and the risk of slipping is much higher than on any other flooring type. It’s worth noting that landing on ceramic tiles is very hard, similar to concrete. In areas with colder climates, ceramic tile is mostly used in entryways, corridors, bathrooms, kitchens, and basements. However, in temperate and warm climates, it can also be used in living rooms or bedrooms. Ceramic tiles are generally very easy to clean. They are very resistant to stains and all spills can be easily wiped up with a sponge. As long as you install the right type of tiles, ceramic tile flooring should last the lifetime of your home. Installation usually costs as much as the tiles themselves. Cork floors have been used for more than a hundred years and are very common in public buildings such as courthouses and churches thanks to their durability. Cork flooring products are generally finished with polyurethane, which provides durability, scratch resistance, and abrasion resistance. 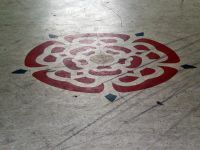 There are plenty of churches in which cork floors have survived for more than a century, which is sufficient proof of their lastingness. The air pockets present in cork flooring deliver a high level of resilience, creating a “cushioned“ feeling when you walk over them. 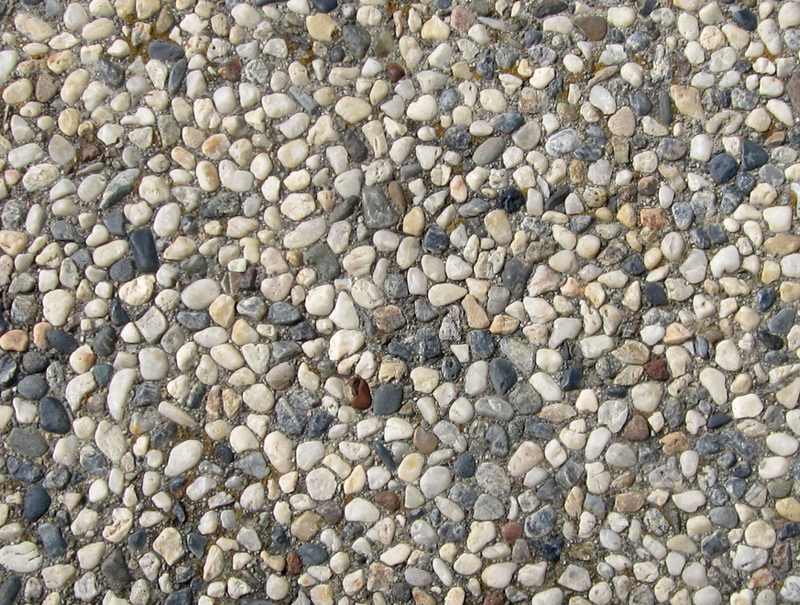 This comfortable, soft walking surface is particularly popular in areas in which small children play on the floor. 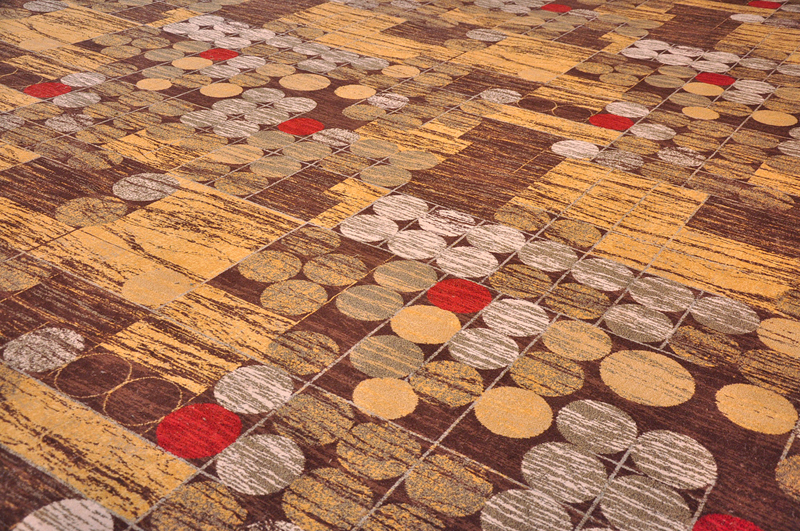 This softness provides cork floors with insulating and sound-deafening properties. Cork floors are very suitable for regions with colder climates. Cork floors are very popular among those concerned about the environment. 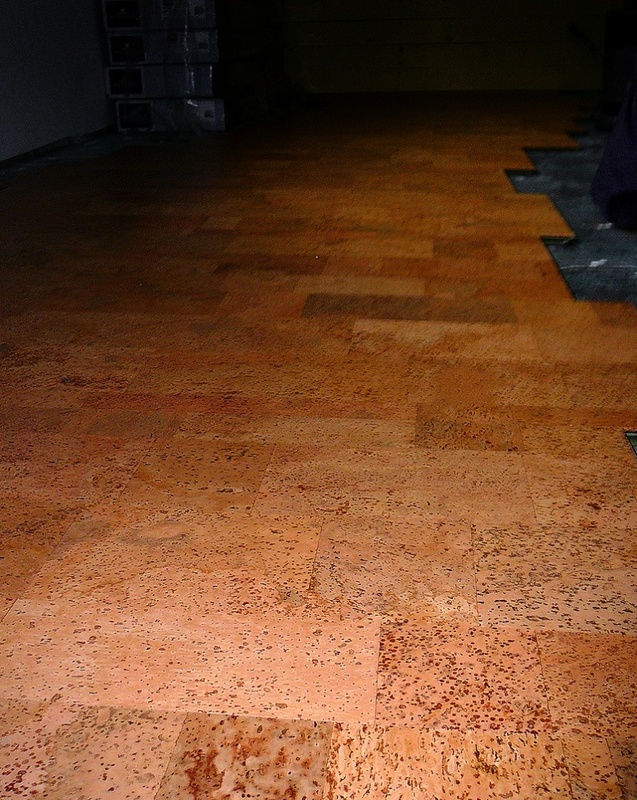 The cork used in these floors is collected from the bark of the cork oak tree, which grows in the Mediterranean area. The cork tree is not harmed during the harvest, and the bark regenerates in a relatively short period of time — no longer than a decade. Cork trees have been producing cork for more than 150 years. Another eco-friendly advantage of cork floors is that they are sometimes made entirely of recycled content from the production of cork wine stoppers. Cork floors contain a substance called suberin, which is a natural part of cork that repels bugs, mites, and even moulds. In addition, cork floors are anti-allergenic. 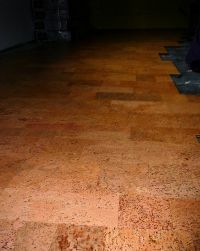 Every cork floor has a unique look, different from hardwoods, and comes in a wide range of colours. There are two main types of cork floors: the first is made of solid cork all the way through, while the second is a veneer of cork over a supportive veneer of high-density fibre. The main disadvantage of the second type is that it cannot be re-sanded. Moreover, it is highly recommended that the cork floor be professionally installed, since it has a huge effect on its lifespan, appearance, and the overall satisfaction of home owners. When properly installed, cork flooring can last a lifetime; however, most manufacturers offer a 10- or 25-year warranty. Natural stone floors represent the most durable and resilient flooring solution available on today’s markets. They are usually more expensive than other flooring types; however, they can change an unattractive, dull room into a completely new, unique, and elegant space. Natural stone floors have undergone the ultimate test: the test of history. This flooring type has been used by architects and designers since the beginning of civilization. Natural stone has been considered the flooring material of the richest and most privileged. However, radical advances in technology have helped to make this flooring type less expensive and its installation less demanding. After all, modern homes are our own castles, so why shouldn’t we enjoy the style and atmosphere our ancestors did? Furthermore, natural stone floors considerably increase the value of your property. There’s a huge selection of natural stone, such as granite, marble, limestone, slate, and travertine. You can get each of them in different shapes and various colours and shades. The hardest and most durable from the mentioned stones is granite. It’s also highly stain resistant and relatively easy to maintain. It’s almost impossible to damage the surface of a granite stone floor in an ordinary kitchen or bathroom. The installation of granite slabs or tiles must be done with special care, and it’s therefore recommended to use professional services. The supportive sub-flooring must be completely level and strong enough to hold the granite, which is very heavy. If there are any irregularities in the sub-flooring, it’s very likely that the granite slabs or tiles will start to crack. Marble, which is also very often used as a flooring stone, is a bit more porous and therefore more susceptible to staining. If you’re thinking about installing a marble stone floor, keep in mind that you’ll have to wipe it very often since almost every spilled liquid can cause stains. On the other hand, if you don’t mind spending more time wiping and maintaining your floor, you’ll be very satisfied with your elegant and beautiful marble floor. Limestone is softer than marble and granite and is therefore more prone to damage and scratches in areas with higher traffic. In addition, it must be professionally treated and sealed by the manufacturer. There are so many possibilities for how to carpet your home that this task might feel a bit too stressful and overwhelming. You might think that it doesn’t make any difference whether you have a wool or a polyester carpet. But if you take into consideration various factors such as small children, pets, or the type of the room, you’ll find that some carpets are more suitable than others. Wool carpet, the softest and most luxurious type of carpet, is naturally flame-retardant and breaks down more quickly in landfills. However, it’s more expensive and more prone to stains, and therefore not very suitable for areas where there’s high risk of spilling something . Furthermore, wool carpets have the tendency to fray — especially on the edges when not maintained properly. On the other hand, carpets made from synthetic fibers such as nylon, olefin, or polyester are more durable, stain resistant, and affordable, but aren’t so cushy and comfortable as wool carpets. The most common type of carpet is made of nylon. Nylon is more durable than all other synthetic fibers, does not produce static, and is soil resistant, so almost every area can be carpeted without any problem. Some carpets are specially designed to prevent pet stains from soaking through to your carpet padding. It’s worth noting that carpets of certain colours hide pet hair better than others. 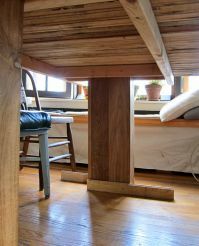 Excellent flooring ideas. Thank you. 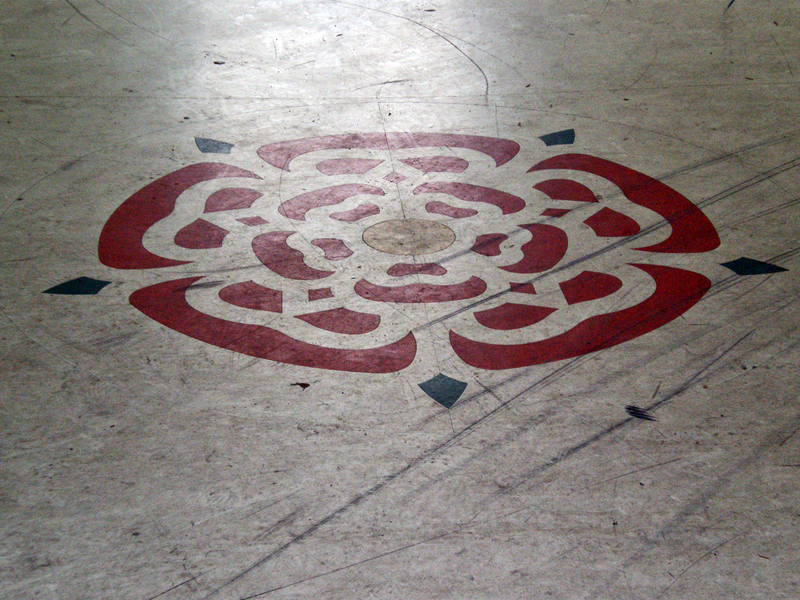 Nice floor designs, loved it.